Arguably one of the most addictive games on the universal Windows platform has been updated with a new feature: death. 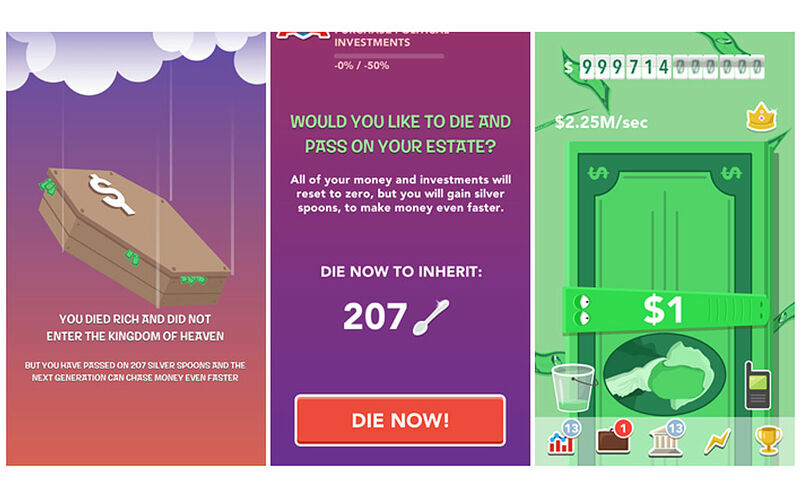 Yes, you can now die in Make it Rain: the Love of Money from Game Troopers, and it turns out that this seemingly obvious feature was something demanded by users. Of course, it’s not just about dying and starting over. When you die in Make it Rain, your previous play leaves an “inheritance” of sorts in the form of Silver Spoons. Essentially, this gives you an even bigger advantage in the game; the money will pile up faster than before. The game still includes cloud saving, so all the money you’ve made on the PC will move over to your phone and vice versa. Just make sure you’re logged into Facebook so you can keep your games synced across all of your devices. Ready to make your fortune? Get the game in the Windows Store below for your Windows smartphone, your tablet, or your PC. Do you have another idea of what you’d like to see in the next update to Make it Rain? Make your voice heard in the comments below. Who knows? It just might make it into the next versioin of the game!